There are many opportunities for adventure lovers in Playa del Carmen and the surrounding Riviera Maya. From sky-diving to cenote diving, from zip-lining to snorkeling with whale sharks and more! There are a few adventure parks along the Riviera Maya, the main one being Xplor, which has zip-lining and underwater cave discovery tours. It’s a great day out for the whole family with a wide range of activities on offer. Tickets can be arranged through your concierge which include transportation, food and drinks, as well as access to the entire park for the whole day. The full day tour of Aktun Chen Natural Park starts with zip-lining over the jungle canopy, then a walking tour of an underground cave system. After lunch, visit some interesting animals such as reptiles and spider monkeys, before snorkeling around a pristine underwater cenote. It is absolutely magnificent and the clearest cenote I’ve ever been in. Why not spend a day horseback riding along the beach at Rancho Baaxal, about 20 minutes north of Playa del Carmen? It is a great day out, riding through the jungle then along the beach. The owners of Ranch Baaxal are dedicated to the health and well-being of their horses, which are mostly rescues from other ranches. The season for snorkeling with these giants of the deep is technically May to September, with July being the best time to go. We went in mid August and saw plenty of sharks. Your concierge can organize a tour for your group which includes an on-board lunch at the beautiful Isla Mujeres off the coast of Cancun. It is absolutely worth it for this once in a lifetime experience. If you are prone to sea-sickness, come prepared for a long boat ride out to the whale’s feeding ground (about 1 1/2 hours). Divers will love diving these caverns filled with fresh water. Most dive centers around town offer cenote dives, and a popular spot is Dos Ojos (Two Eyes) cenote, located 51 KM south of Playa del Carmen, just north of Tulum. This is a unique experience to the Yucatan and one you are not likely to forget. 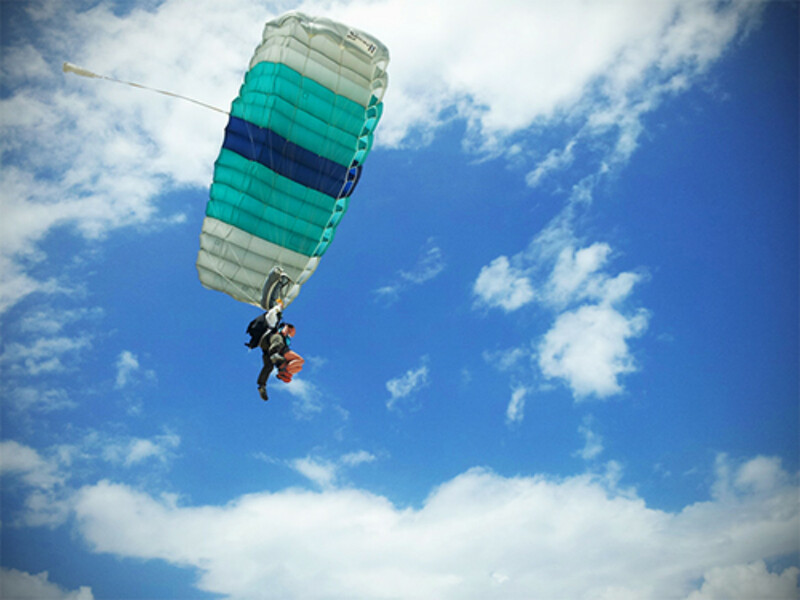 For true adrenaline junkies, try a tandem skydive with Skydive Playa, Playa del Carmen’s one and only skydiving company with over seventeen years experience in the area. Check out my video of the experience here! Contact your concierge for more information on these adventure-loving activities in Playa del Carmen and the Riviera Maya.